Manic Street Preachers are a Welsh alternative rock band, formed in 1986 in Blackwood and consisting of James Dean Bradfield (lead vocals, lead guitar), Nicky Wire (bass guitar, lyrics) and Sean Moore (drums). They are often colloquially known as "The Manics", or simply, "Manics". 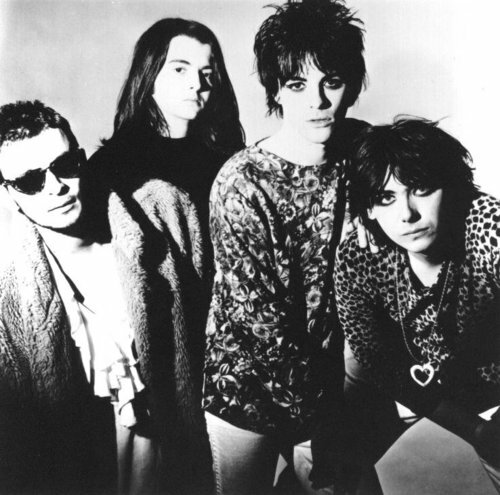 The former bass player was Miles Woodward, but he ended up leaving the band in early 1988, but later in that same year after the release of the first single "Suicide Alley" they became a quartet when Richey Edwards joined the band as primary lyricist and rhythm guitarist. The first record of the band, Generation Terrorists, they proclaimed would be the "greatest rock album ever" and sell around sixteen million copies around the world, "from Bangkok to Senegal", and then they would split up. The album did not meet this scale of success and the band went on with their career. Years forward the group became a trio when Edwards disappeared on 1 February 1995. Following Edwards' disappearance, Bradfield, Moore and Wire persisted with Manic Street Preachers and went on to gain critical and commercial success, making numerous appearances and headlining festivals likeGlastonbury Festival, T in the Park, V Festival and Reading Festival. The band has won many awards from different publications, including eleven NME Awards, eight Q Awards and have won four BRIT Awards. The Manics have also been nominated twice for the Mercury Prize in 1996 and again in 1999, and they have one nomination for the MTV Europe Music Awards. Apart from their debut, the band have released another eleven albums, and a total of three compilation albums, Forever Delayed, Lipstick Traces (A Secret History of Manic Street Preachers) and National Treasures � The Complete Singles, and have sold more than 10 million albums worldwide to date. The group has achieved the number 1 spot in the UK three times � in 1998 with the album This Is My Truth Tell Me Yours, and the single "If You Tolerate This Your Children Will Be Next" and again in 2000 with another single "The Masses Against the Classes". The band's later albums retained a leftist politicisation and intellectual lyrical style while adopting a broader alternative rock sound. Their early combination of androgynous glam imagery, critical social lyrics about "culture, alienation, boredom and despair" and a furious rock sound gained them a loyal following over the years and assured them a cult status.